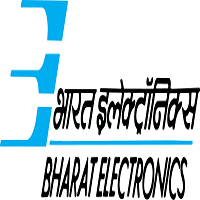 BEL Jobs Recruitment Notification 2018.Bharat Electronics Limited BEL inviting applications for the positions of Contract Engineers.Interested and Eligible candidates can apply for the positions. First class in BE / B.Tech (Electronics / Electronics & Communication/ Communication / Electronics & Telecommunication/ Telecommunication, Mechanical, Electrical, Electrical & Electronics and Computer Science / Information Technology / Information Science) from a recognized University/ Institution. For Gen/ UR Candidates - 25 years as on 01 Sep 2018. Eligible candidates may apply online at BEL's website (direct link is given below) from 15th Aug 2018 to 30th Aug 2018. Candidates log on to http://bel-india.com/. Last Date to Apply is on August 30th, 2018..